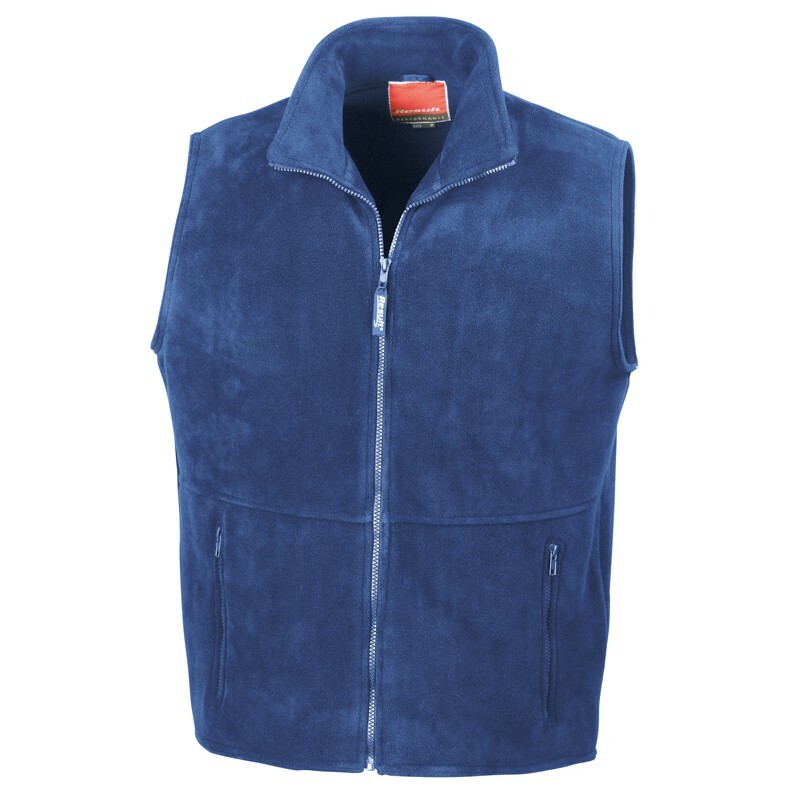 Pill-resistant unlined polyester fleece bodywarmer. stretch fit with full length front zip fastening. 2 large front pockets with active fleece by Result® lining. Decorative body yoke.Concealed front reverse. XS* - 35" S - 38" M - 41" L - 44" XL - 47" 2XL - 50"